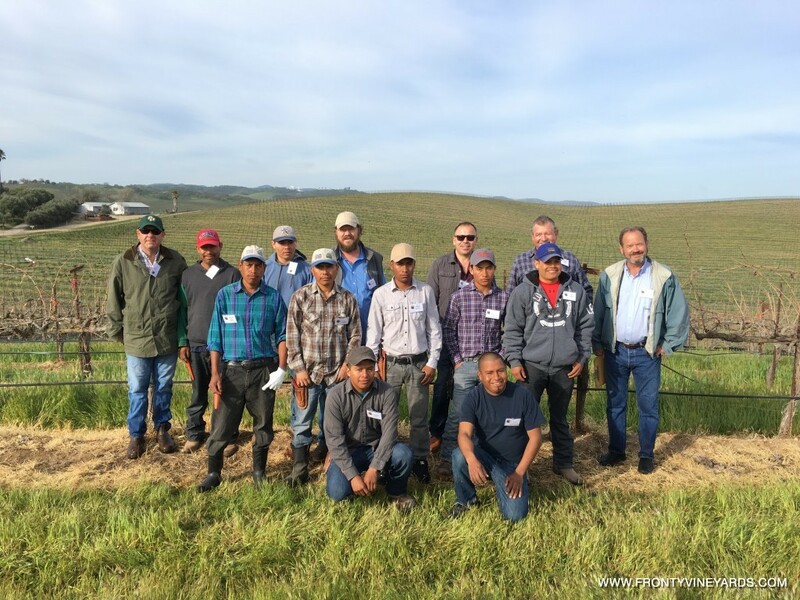 The Central Coast Pruning Competition is proud to announce Felix Diaz (of Martinez Farming) as the winner of the 2016 competition. 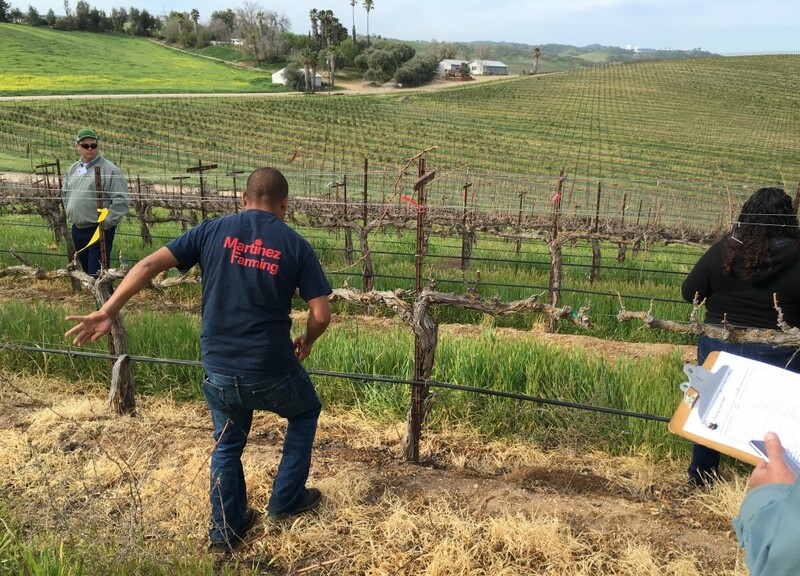 Competitors came out to Fronty Vineyards in San Miguel yesterday to use their talent, skill and speed to win not only prizes but the title of ‘Best Pruner’. Severiano Guerrero won 2nd place, Paulino Guerrero 3rd, and Eloy Nava 4th. Winners received cash prizes, event vests and a bucket of tools and gift cards. 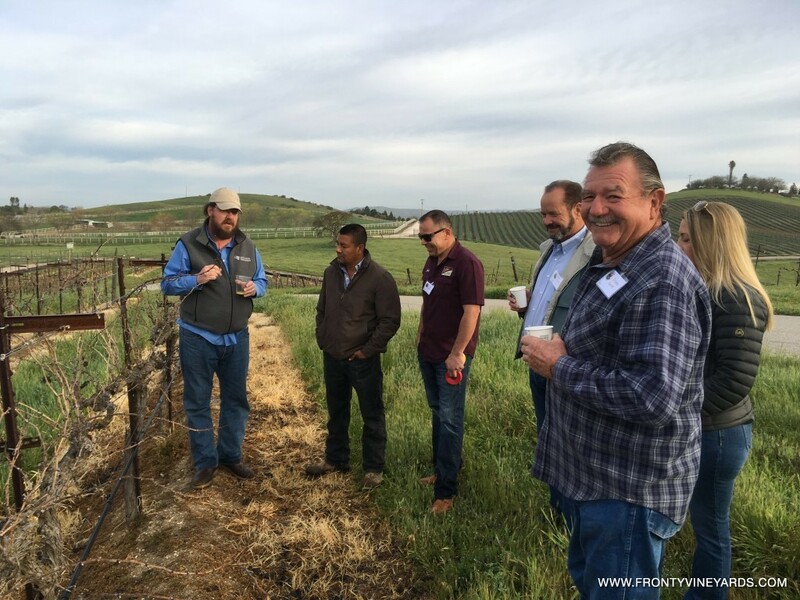 The event’s judges where Lowell Zelinski (Precision Ag Consulting), Joel Castaneda (Vineyard Industry Products), Dan Rodrigues (Vina Quest), Craig MacMillan (Vineyard Team) and Richard Sauret (Sauret Vineyards). The first heat of the competition challenged the entrants to prune 8 cordon trained vines for time and skill. The judges then assessed the vines and deducted points for bad cuts, debris or decisions that would be detrimental to the vine. Bonus points where applied for excellent cuts, correct replacement spurs or canes and for double spurs in the correct places. The competitors with the best scores went on to the ‘Prune Off’ round, here they pruned 4 cordon trained vines with pruners and loppers in a section of the vineyard that was more vigorous. Felix Diaz won the competition with a 4.34 time and 9 points deducted, beating Severiano Guerrero’s 4.11 time and 13 points deducted. It was close and in the end skill won over speed. Congratulations to Felix Diaz for being the Best Pruner of the Central Coast Pruning Competition. We would like to thank Vineyard Industry Products for not only being a sponsor, but offering their experience from participating and judging pruning contests in Sonoma. Bahco brought their mobile store to the event and raffled off prizes from hand tools to power tools. Martinez Farming provided an excellent taco cart for the event’s lunch. Lastly, our group of wonderful volunteers who helped out with set-up, timing and food. We are very proud of everyone that attended and look forward to next year’s competition. More photos from the event are available on CCPC’s facebook page .